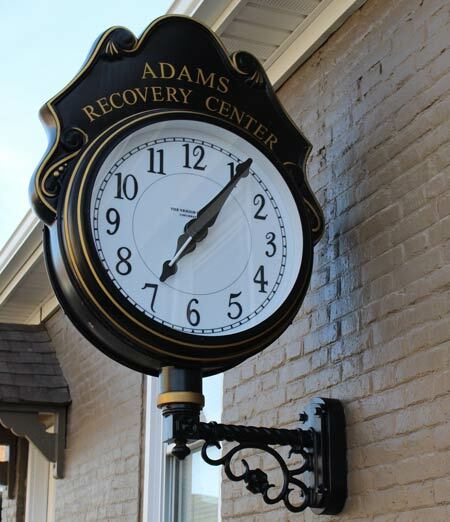 Adams Recovery Center has a team of professional, dedicated and experienced chemical dependency professionals. Our team is up-to-date on the latest evidence-based practices and current standards of training in the field of Alcohol and Drug counseling. Kellen has been working in the field of addiction for eight years. He started with an internship with the Center for Drug Free Living in Orlando, Fla., and found a passion for this line of work. Kellen obtained a bachelor’s degree in Public Administration from the University of Central Florida and a master’s degree in Substance Abuse Counseling from Nova Southeastern. Kellen has more than two years of supervisory experience and has worked with many different populations. He loves completing assessments and conducting individual sessions and utilizes Cognitive Behavioral Therapy and Motivational Interviewing. Kellen is notorious for his picky eating habits. It is widely known that Kellen has the palate of a 5-year-old; his favorite meal is chicken fingers and fries. Kayla began her journey into the field by earning a bachelor’s degree in Psychology from the University of Dayton in 2013. She went straight into graduate school and earned a master’s in Mental Health Counseling in 2015. She is a dually licensed Professional Counselor (LPC) and Independent Chemical Dependency Counselor (LICDC). While earning her master’s degree, Kayla began an internship at Adams Recovery Center and truly found her passion. She fell in love with the field and the program. Kayla enjoys doing assessments and working with clients one on one to help them identify the issues that have contributed to their addiction. She views counseling as a collaborative effort and primarily uses a Cognitive Behavioral approach to help people explore how they can change their thoughts and behaviors for the better. In her free time, she likes to throw around heavy things at Crossfit, enjoy some fresh air and cook up delicious food! Donna is a firm believer in adapting and evolving with life’s changes as they occur. As a result, she decided to “reinvent” herself later in life. As her children got older, she returned to school after 28 years away and ultimately completed an associate’s degree in Chemical Dependency Counseling. She then earned a bachelor’s in Human Services and Counseling Psychology and holds a Licensed Chemical Dependency Counselor II license. Donna has learned so much from her clients and their families. She approaches addictions directly, and she confronts enabling and codependency in her family-day groups. She believes that addiction is a family problem and that change can occur for anyone, at any time. Though her children are grown, Donna is also mom to two cats, Butters and Stoche. Kimberly is a Licensed Chemical Dependency Counselor III and has been with ARC since July 2014. She graduated from the University of Cincinnati with a bachelor’s degree in Substance Abuse Counseling and a minor in Child Abuse Recognition. Since she has been at ARC, she has developed the ability to build strong, trusting relationships with clients. This, coupled with her “tough love” approach, enables her to help clients work through their addictions. She encourages her clients to focus on new beginnings and to look to the future in order to become the best version of themselves. In the future, Kimberly will pursue her master’s degree in the counseling and mental health fields. When she is away from the office, her perfect day would involve anything covered in glitter, a new pair of shoes and dogs wearing sweaters. As a Registered Nurse and Chemical Dependency Counselor, Ann brings a unique teaching style to her groups and individual counseling. Ann is a firm believer in helping clients achieve their best in recovery, so her groups are interactive, incorporating tangible object lessons to empower clients to own their recovery and not allow their past to define them. Working at ARC offers her the opportunity to use her skills and talents while incorporating the wisdom of many decades of teaching. Outside of work, Ann takes hip hop dance classes and loves to bake from scratch. Since completing a very eye-opening internship in the field of substance abuse, Lea has been interested in learning new approaches to help people overcome their addictions. She has been working in the field of chemical dependency for nine years and counseling for six after obtaining a bachelor’s degree in Counseling and Human Service from Northern Kentucky University. She loves her job because she gets to watch people grow into their true selves every day. Her goal is to always utilize a balanced approach with fun, laughter, honesty and some mindfulness thrown in. Two random facts about Lea: The “s” is silent in her last name, and she has trouble making it up a flight of stairs without falling.